3.5 metre long single guy rope with wooden runner. 6mm diameter PE Silver nylon rope with orange hi-vis safety fleck pattern. 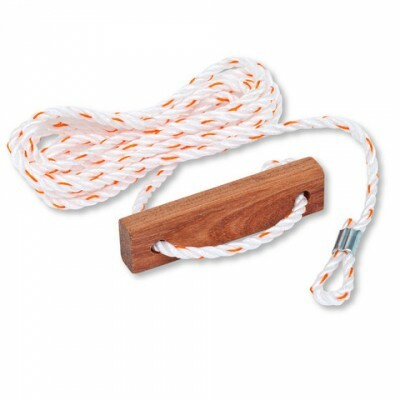 Wooden runners are used for tighter grip to tension guy ropes. Guy ropes are strung between the top of a tent pole and a tent peg in the ground, to tension the tent pole so as to keep it upright.